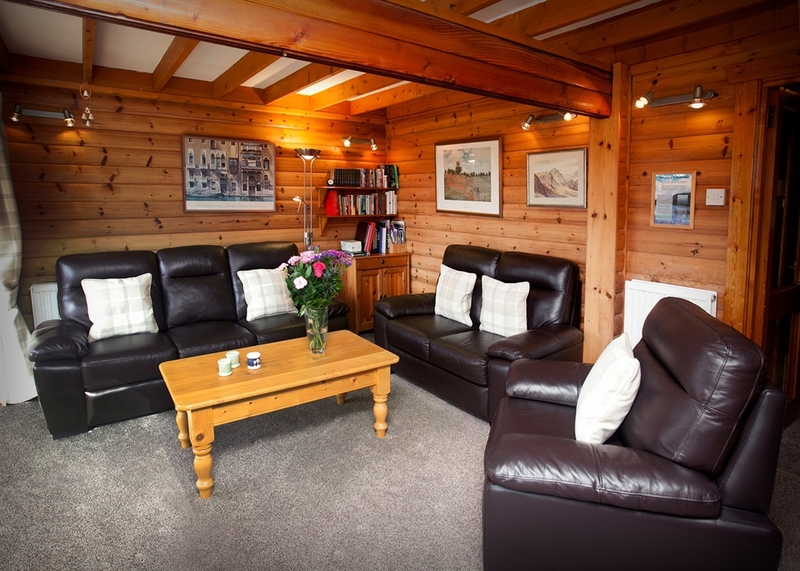 Cosy & comfortable pet-free 4 Star log cabin situated on a well maintained holiday park overlooking the stunning Solway Coast with on-site heated swimming pool & sauna and Bar & Restaurant. 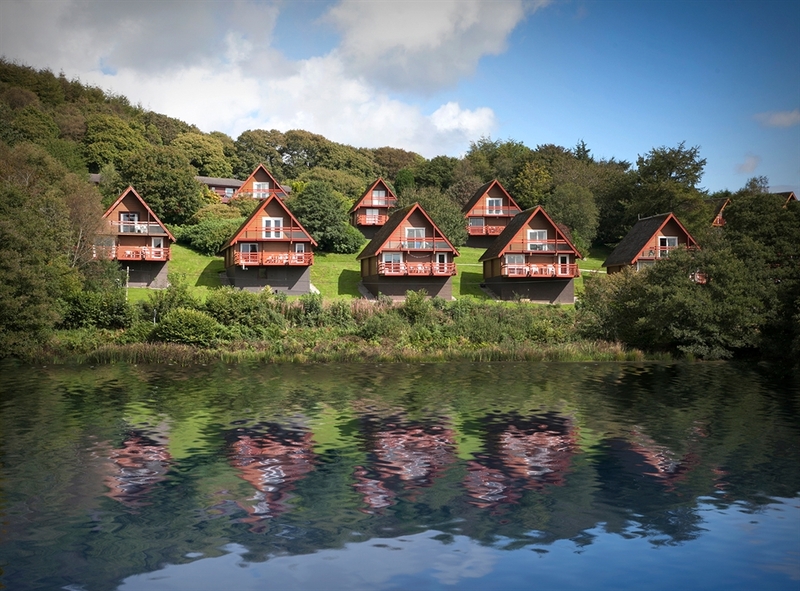 This two-storey wooden self catering holiday lodge has three separate bedrooms including one with en-suite shower, a large open plan living dining area with separate kitchen, bathroom and two balconies with furniture. 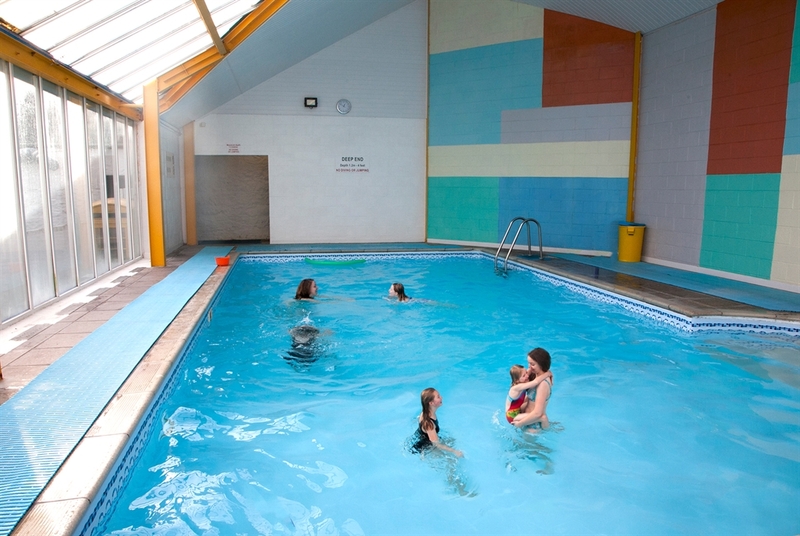 New for 2018! 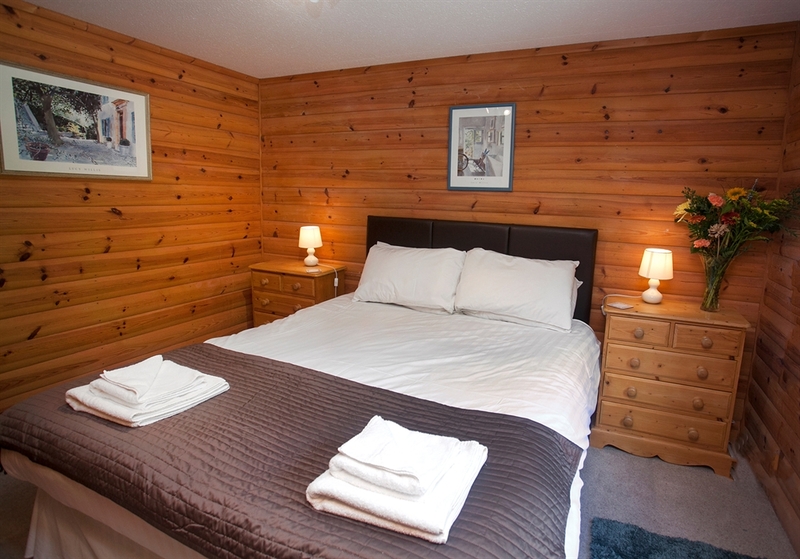 Recently upgraded to 4 star Visit Scotland standard throughout, including new carpets, beds and furnishings. 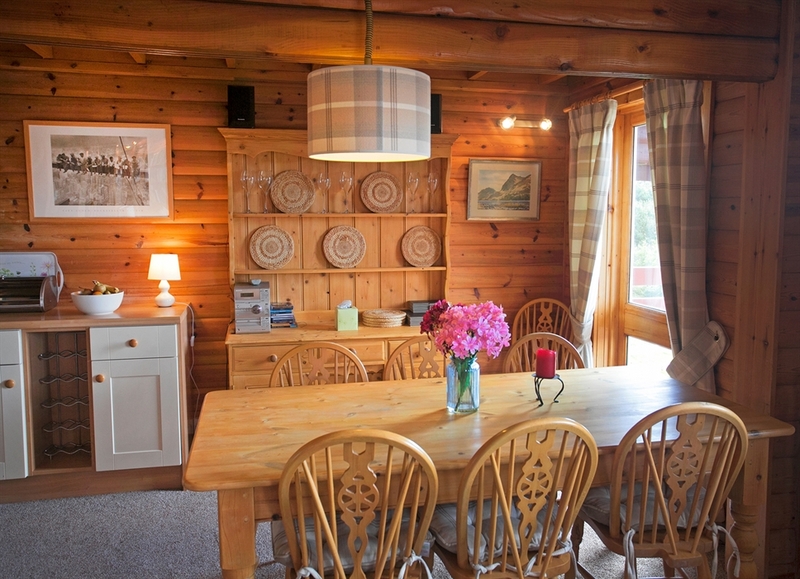 A picture window between the balcony doors lets in light and offers further views of the loch. 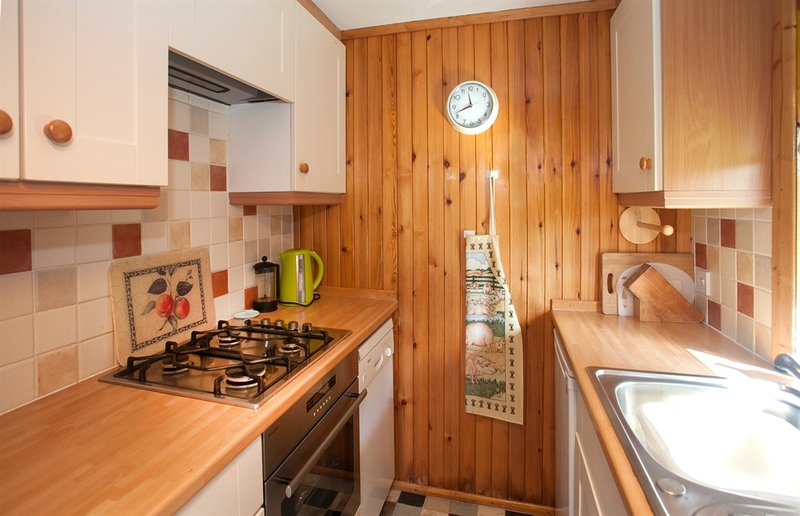 A well-equipped kitchen with a gas hob and electric oven, fridge with ice compartment, dishwasher, microwave, kettle and toaster. A full range of cooking utensils, crockery, glassware and cutlery is provided. For special occasions, high quality Denby crockery and glassware are available from Reception upon request. 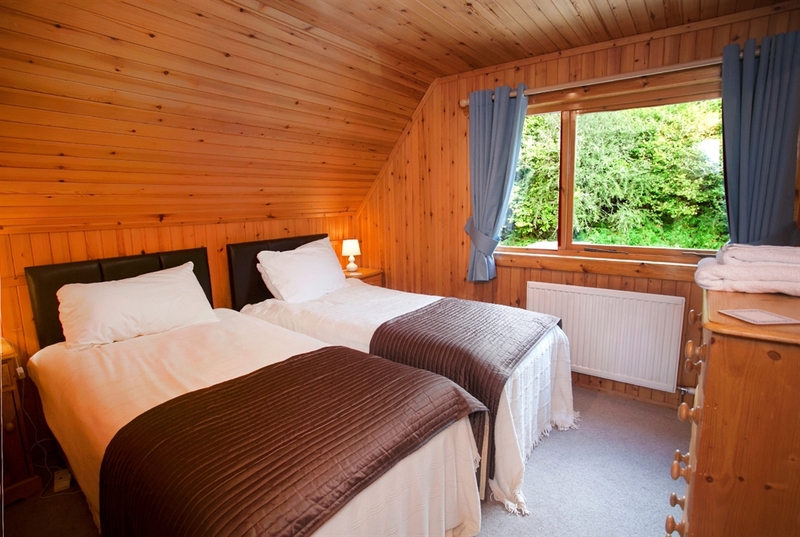 A bedroom with king-size bed is on the ground floor. Bathroom with a power shower over the bath. 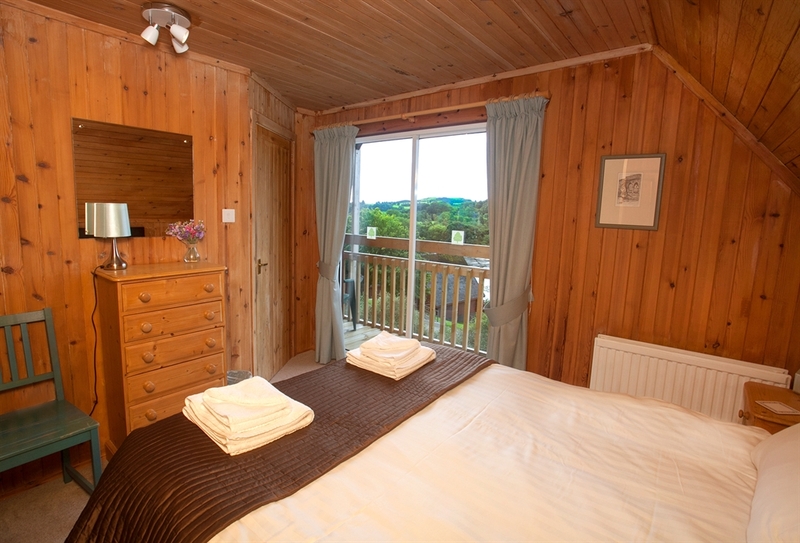 A king-size bed with ensuite toilet, wash basin and shower, with a balcony offering panoramic views of the Loch. 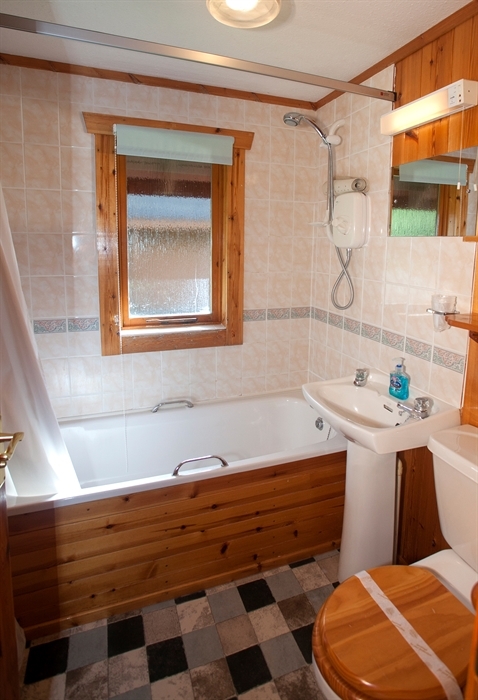 A twin room with ensuite toilet and wash basin.